A team of astronomers, using the Gemini Planet Imager (GPI) on the Gemini South telescope in Chile, has given us our best view yet of an exoplanet moving in its orbit around a distant star. A series of images captured between November 2013 and April 2015 shows the exoplanet β Pictoris b as it moves through 1½ years of its 22-year orbital period. 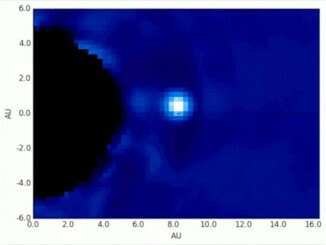 The Gemini Planet Imager instrument has discovered and photographed its first planet. 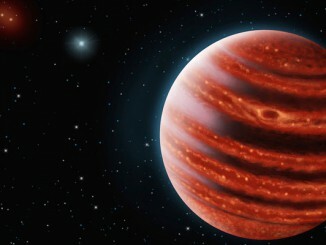 Dubbed 51 Eridani b, the body is a methane-enshrouded gas giant that is the most Jupiter-like exoplanet ever directly imaged, in a planetary system just 20 million years old. It may hold the key to understanding how large planets form in the swirling accretion discs around stars.